Mike McGraw is the Hale Center for Journalism's special projects reporter, working on in-depth stories about various topics, including government accountability. He also works with NPR and KCUR's Harvest Public Media component on stories about Midwestern agriculture and agribusiness. He comes to KCPT after a 30-year career on The Kansas City Star's investigations team, where he and a colleague won a Pulitzer Prize for a series about the U.S. Department of Agriculture. He has covered issues as diverse as the business of college sports, art forgery, the beef industry, workplace safety and wrongful convictions. About the reporterMike McGraw is the Hale Center for Journalism's special projects reporter, working on in-depth stories about various topics, including government accountability. He also works with NPR and KCUR's Harvest Public Media component on stories about Midwestern agriculture and agribusiness. 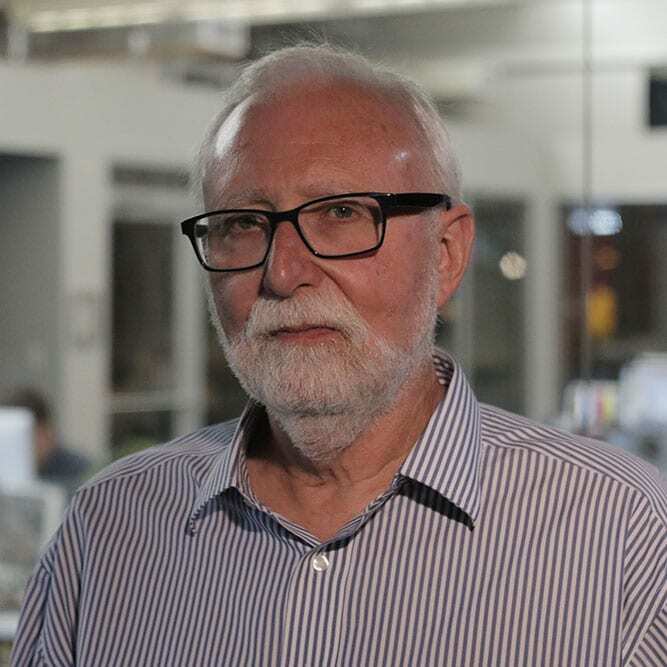 He comes to KCPT after a 30-year career on The Kansas City Star's investigations team, where he and a colleague won a Pulitzer Prize for a series about the U.S. Department of Agriculture. He has covered issues as diverse as the business of college sports, art forgery, the beef industry, workplace safety and wrongful convictions.